We offer a FREE delivery to mainland England, Scotland and Wales. Sorry no Offshore delivery service available. We operate a NO QUIBBBLE returns service, in the unlikely event you are not satisfied we will arrange to collect the order FREE OF CHARGE, subject to conditions. Our delivery service includes an email confirming the exact delivery day with an AM or PM estimate. Our driver will ring 30mins before on the day of delivery. 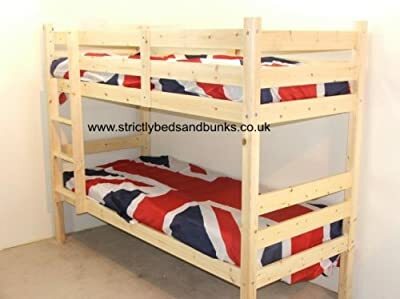 BUY BRITISH - Manufactured in England by Strictly Beds & Bunks Ltd. 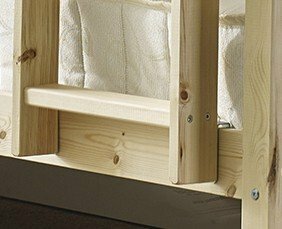 This product is made using the finest Scandinavian NATURAL PINE. This timber is sourced from sustainable forests. 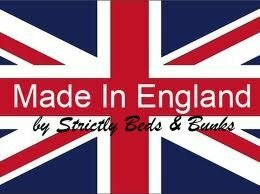 - BUY BRITISH MADE PRODUCTS. 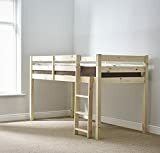 Range Name: Everest High Heavy Duty Bunk Bed ®. This is a heavy duty product. Each base has been tested to take a weight of 17 stone (108 kilos). 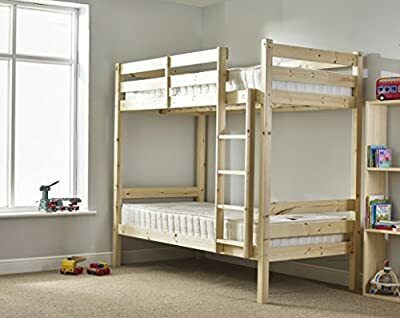 The base slats are extra wide and made of solid pine, for added strength this bunk has a base slat centre rail support system. 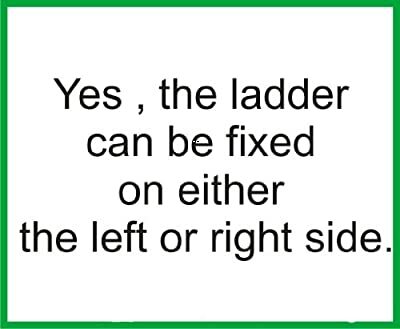 The ladder has extra thick flat "easy on the feet" ladder rungs and can go to the left or right of the bed. 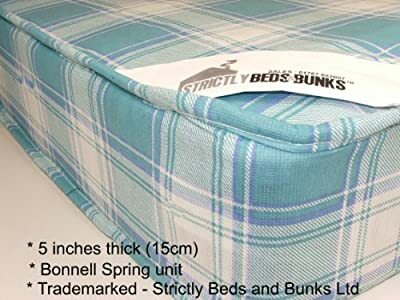 The product is sold for easy home assembly Includes two 15cm thick sprung mattresses - soft rating (sleeping area 90cm by 160cm) External Dimensions: 3ft Standard Single W98cm L175cm SHORT LENGTH H180cm- Clearance between bunks 108cm, clearance under bunk 36cm. Thick chunky 60mm corner posts.